Avalon Waterways have designed their ships and their entire river cruise experience, around their guests. They boast the largest standard staterooms and suites on the European waters, their amenities are countless, including fitness centers, flat screen TVs, Sky Deck with shade system, premium lounge chairs, whirlpool, free Wi-Fi, and many more. They are also renowned for having the best Certified Local Guides in the business and land excursions that are second to none. Plus they have revolutionized river cruising by introducing Avalon Choice Cruising, which allows you to customize every last detail of your river cruise, so it's a one-of-a-kind experience created specifically for you. We also continue our reign as the newest fleet on the European rivers. To find out more, speak to one of our Cruise Specialists on 604.736.7447 or click on 'contact us' to send an inquiry via our website. Unique to Avalon, the majority of their staterooms have beds that face out to the window- as they put it "When your bed faces a wall, the view never changes. Which is precisely why our beds, unlike other cruise lines, face a window. 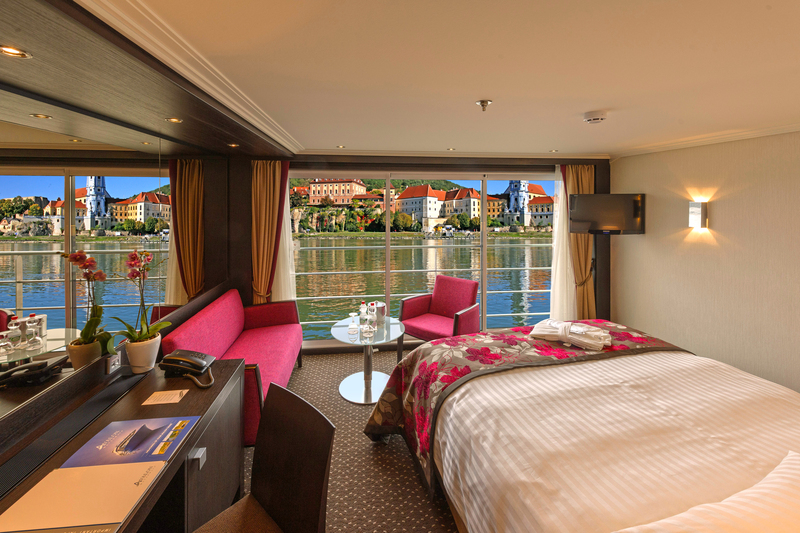 * Because we think letting you see the incredible views that river cruising is famous for, is a darned good idea. And if we put that much attention into a bed, imagine what we’ve done for the rest of your experience." With Avalon Choice® you choose your dining experience morning, noon, and night on our Suite Ships®. Up early or prefer to sleep in? No problem. Our Early and Late-Riser Continental breakfasts ensure you're off to a great start. Whether it's surrounded by breathtaking panoramic views in the Main Dining Room, an al fresco lunch at the Sky Bistro (weather permitting), or a casual light lunch or dinner in the Panorama Bistro, the choice is yours. And we never charge extra for these alternatives. 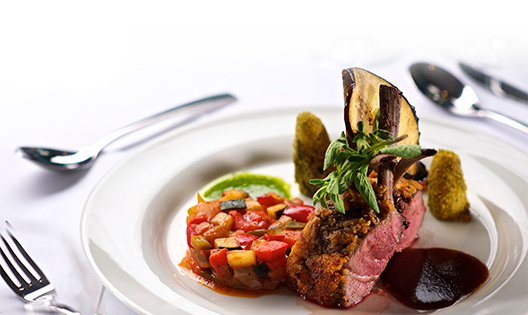 Nothing reveals the heart of a destination like its food, so we offer a delicious selection of local recipes for you to sample-with an included regional wine paired with each onboard dinner. Get in touch with us for more details on an Avalon River Cruise by calling us at 604-736-7447 or by selecting the 'contact us' button to send us a message through our website!